our specialist network of designers, manufacturers, and academic experts. Our combined expertise puts Scotland's leading skills at your service. We offer the world's largest tartan library, twice over! We own the largest physical archive of woven tartan samples on earth, for manual reference on-site. Plus we are the only source of the great majority of tartan patterns and colourways, with by far the fullest published list of photorealistic woven tartans. Between our twin campuses we boast an unrivalled team of tartan specialists, sharing competences spanning design, weaving and manufacture, through to branding, cultural marketing, and retail trends. The company's founder and Managing Director, Dr Nick Fiddes, is an acknowledged authority on tartan - an expertise laced with a ground-breaking technical and creative approach at the cutting edge of tartan development. We're at the heart of a unique network of highly skilled partners, all over Scotland and around the world. Whether your project needs an expert tartan or product designer; a historical researcher; a marketing guru; or almost any skill related to tartan and heritage products, we work with only the best. We enjoy strong relationships throughout Scotland's creative, producer, and academic communities, so can source the ideal talent for every requirement. We are the world's only tartan company that owns its own weaving mill whilst also offering a full range of products and services from partner mills and manufacturers. This means that we can provide services from bespoke high end wools and silks from our own mill, to volume fabrics in any material more economically woven under contract. We employ our own tailoring team, for small scale runs (including individual items) or rapid prototyping. And we also work with trusted manufacturing partners, for a production capability of almost any scale. Since we are one of the largest trade customers for many of these suppliers we are in a position to negotiate highly competitive terms, that we then pass on to you. Our market leadership since 1995 has been firmly rooted in outstanding technical skills. We were Scotland's first secure e-business portal, and the world's first company to take tartan to the web. Today our operations are based on advanced fully integrated systems that guarantee accuracy, reliability, and predictability in a sector typically characterised by old fashioned methods. We bring this competence to every project, meaning that we can deliver to exemplary standards on timescales and costs that no one else can match. We are the world's only full-service tartan design and production house, that can offer you a flexible, modular and fully integrated service to suit your own unique needs. Just tell us what you can do yourself, and where you need help, and we'll do the rest. 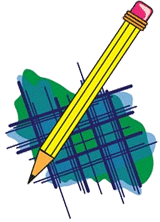 Tartan Design can start with your own rough or fully refined ideas, developed free of charge in our world-leading online Tartan Designer. Our own expert designers can either critique and refine your ideas, or produce a full new design from scratch based on your inspirations. It's up to you. But a great result is guaranteed! We can also assist with Product Design & Development whether you're looking for traditional garments or homewares with your individual twist, or radical new concepts and interpretations to fit your brand or catalogue. As well as our own in-house design skills, we work with a unique network of established and cutting edge Scottish design talent which lets us bring a fresh approach to every project. We're often asked to help identify a plaid - from an old garment, a picture, or just a memory. 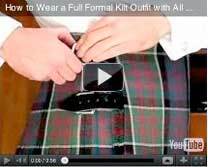 Our expert team can usually reply straight away, as we can name most tartans from sight. Sometimes we'll do a little digging, as we know where to look. Please just ask - we love to help! If it's easy, it's a free service. Of course we also advise on correct wear for any occasion. We know all the conventions, but it's really about looking amazing at your event. And there's no charge! Another daily question concerns appropriate tartans for someone to wear. The 'rules' aren't as rigid as many think - tartan is mostly about the pride of honouring a personal connection of some kind. But we will point you in the right directions. There's a tartan for everyone. If corporate clothing is to communicate a brand's identity and unity, there's no better way to do this than with tartan. Instantly recognisable from a distance, yet infinitely classier and worn with genuine pride than ordinary uniforms, tartan speaks your language. We'll help you design your own distinctive plaid in your company colours, and can produce garments for you of any design in any volume. Tartan also excels for Corporate Gifts. You want your gifts to have lasting value, that will be treasured for years to come. And you want them to project your brand, in a tone that's subtle but effective. With a full range of products to suit every need, we've the tartan solution for every giftware need. Our picture here is Dr Nick Fiddes our M.D. with Matt Brittin, Vice-President of Google for Europe, both wearing the tartan we designed and produced for them in Google's colours. 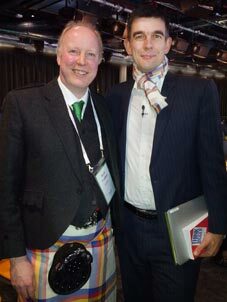 Nick's kilt matches Matt's scarf, gifted by Google to top UK business leaders at their "Think Bigger" event. If it's good enough for Google to make an impression, isn't it time you thought bigger too? Countless global blue chip businesses have recognised the value of having their own corporate tartan. Why? There's simply no better way to visibly project your brand and unite your community, in a subtle and sophisticated way, that's charged with enormously positive associations. Our lifeblood is traditional woollen tartans, or finest pure spun silks. And of course we can produce tartans in cotton, polyviscose, cashmere, or our genuine Harris Tweed tartans with their uniquely homespun look. We're also pushing to find new and interesting ways to work with tartan - distressed treatments, combination yarns, novel weaves - with few limits. These are mostly for private commission by cutting edge designers. If you're intrigued, let's start a conversation. Then there are all the finishes. Of course we can offer fire-proofing, teflon resistence, fluorocarbon finishes, resin treatments, softeners, anti-pill treatments, anti-microbial impregnation, and all the rest. These can be stand-alone, or combined with mechanical treatments like natural teazle raising or card wire raising, or various fringes. We can even leave your fabric raw as "hard tartan", which is popular with re-enactors. It's your tartan. Tell us what you want. Special events demand special presentation, and there's few times bigger than a wedding. We can deck the halls, dress the tables, kilt the groom and party, throw in beautiful favours to match. And it's all in his tartan, her tartan, or - here's an idea - why not produce your own new wedding tartan, uniting the two families' traditions especially for the occasion? The same of course goes for corporate events; family celebrations; bar mitzvahs; or almost any special occasion. Tartans are timeless, and our products often become heirlooms. Let us help make your event memorable, not just for a few hours, but forever. Because we employ our own tailors, we can usually meet any deadline. 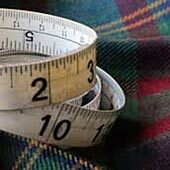 Our record is for a complete Highland Dress Outfit made to measure in custom tartan that would normally take 6-8 weeks. This was ordered on a Wednesday afternoon, and in New York by Friday evening. We enjoy a challenge, so don't be afraid to ask. Our online ordering system provides a facility for ordering almost any product in a wide range of sizes. But that's just for convenience. If you are looking for a product in an unusually small size, a specially large size, or with very particular dimensions, we can help. Want a one-armed jacket? No problem. Most of our goods can be adapted to accommodate almost any need.